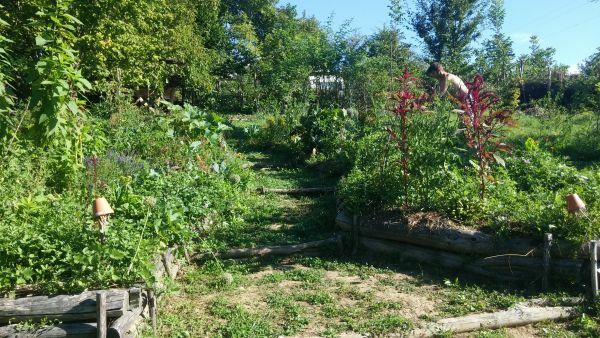 Polyculture in our garden: we mix flowers, herbs and vegetables so they can benefit from or help each other. Wild flowers are welcome in the garden! The garden beds are mulched with grass clippings and other green "waste"; the paths are mulched with wood chips. Beet root bed mulched with straw, path mulched with wood chips. Keyhole garden bed. Beans will grow up the poles so the lettuce underneath gets its shade. Corn growing with marigolds in between and a lot of fern around! The fern is usefull as mulch or as underground for storing apples trough winter. The terraced part of the garden. 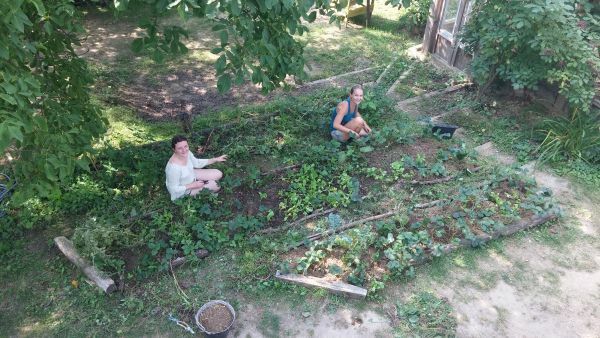 This part was too steep so we made terraces to keep the nutrients in, prevent the soil from eroding and make the garden easier to access. 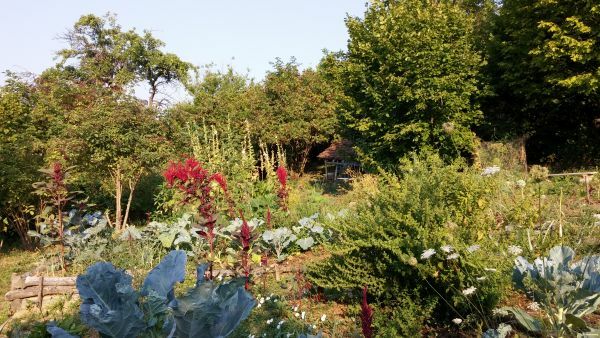 Polyculture: chards, amaranth and endives. Sunflowers and nasturtium on the sides. Solar dryer in the back.